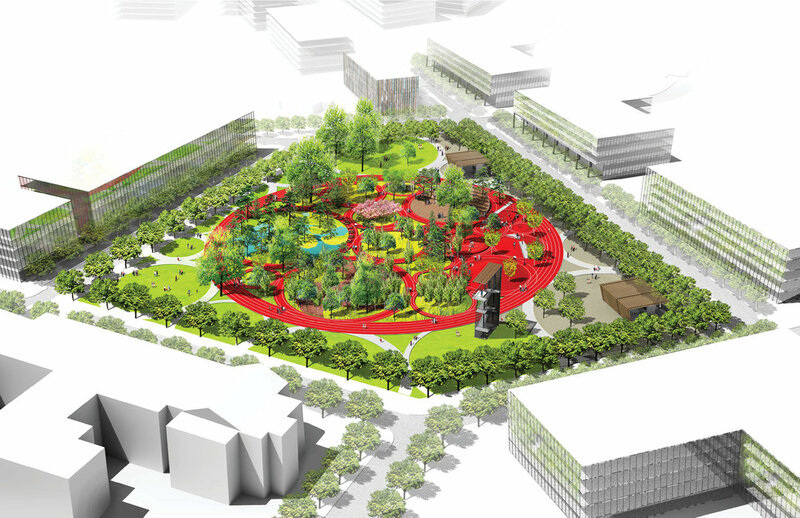 Iconic biotope gardens simultaneously create an amenity for employees working at the corporate park and offer an incentive for future development. The iconic tangent circle figure within the former Navy Yard grounds offers a simultaneity of experiences for a wide range of age groups and socioeconomic backgrounds. 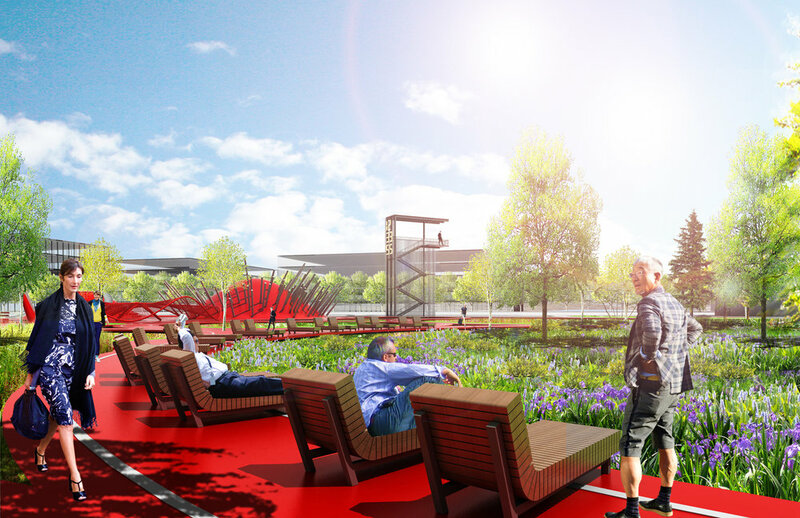 The intent is to offer a visual spectacle, an eye-catching experience that draws both young Philadelphians as well as potential corporate investors to this growing area of the city. The floor is red rubber, juxtaposing the plastic with the ecological. A variety of Biotope gardens fill large circles, filtering runoff and providing habitat. Navy Yard Central Green Park. The built design change the red to grey due to maintenance purposes.